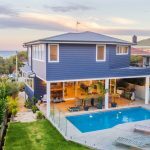 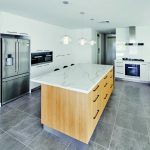 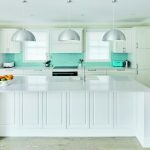 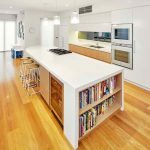 To combat the disjointed nature of the home’s previous kitchen, this space was designed to flow seemingly effortlessly, via cabinetry which extends into the living room and includes a gas fireplace. 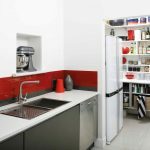 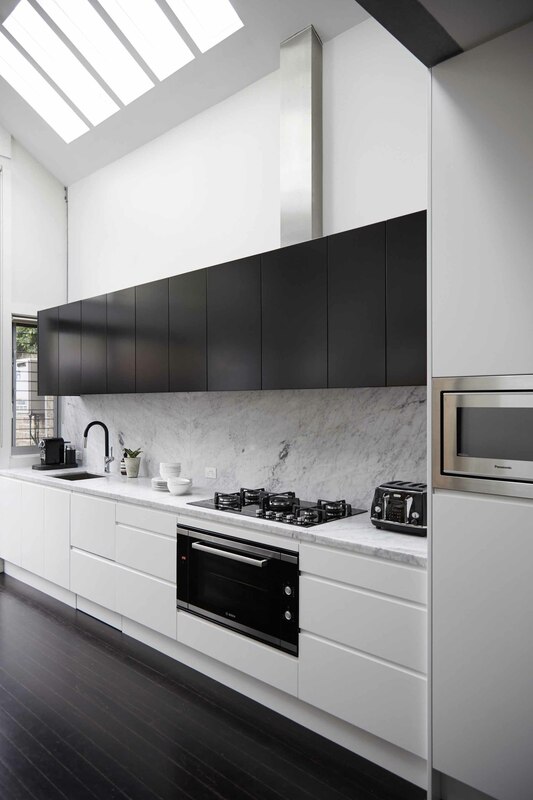 The pre-existing tall ceilings and bulkhead created two different space heights, which is now balanced out by the alignment of the tall cabinets. 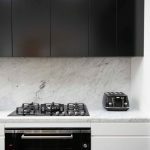 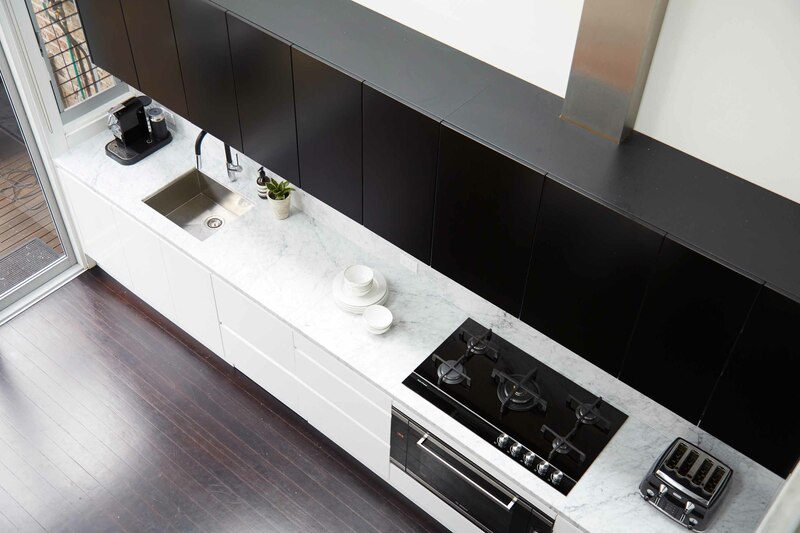 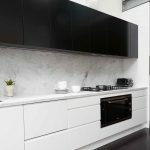 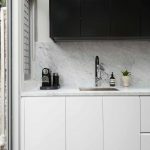 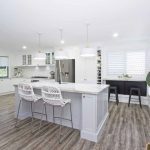 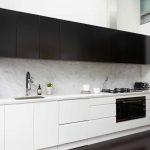 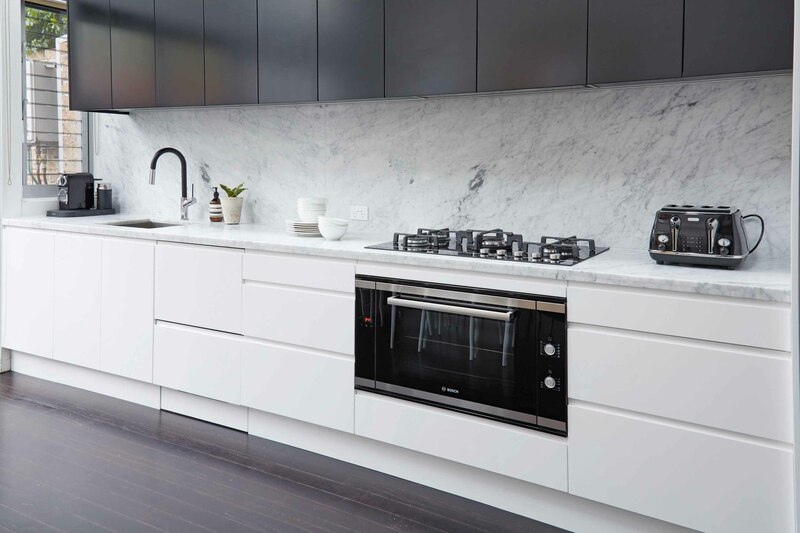 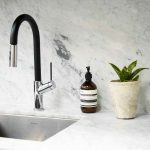 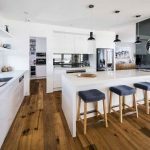 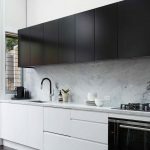 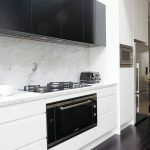 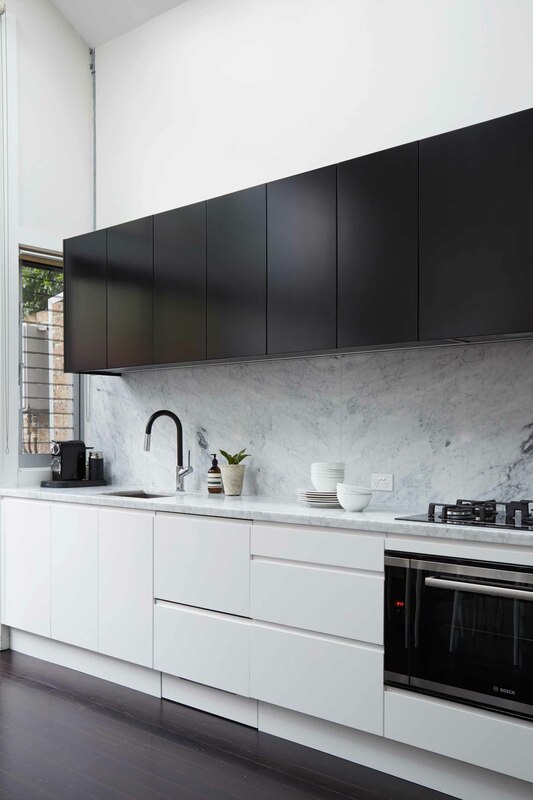 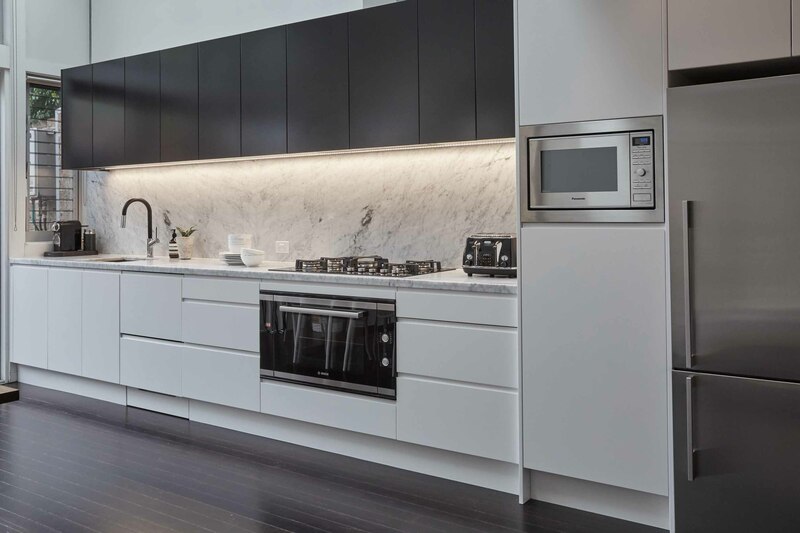 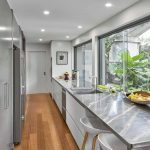 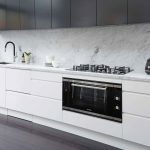 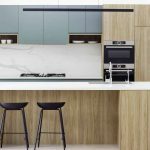 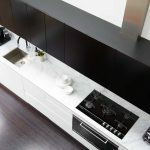 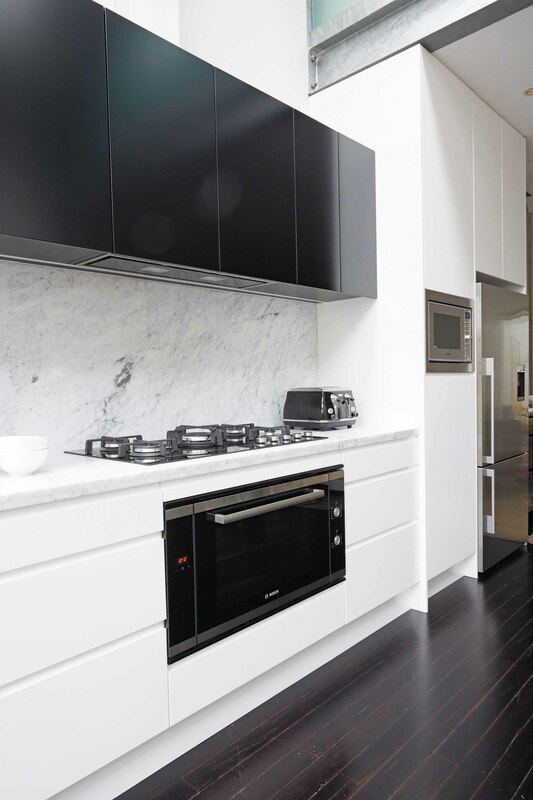 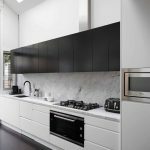 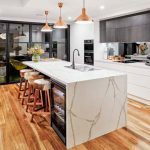 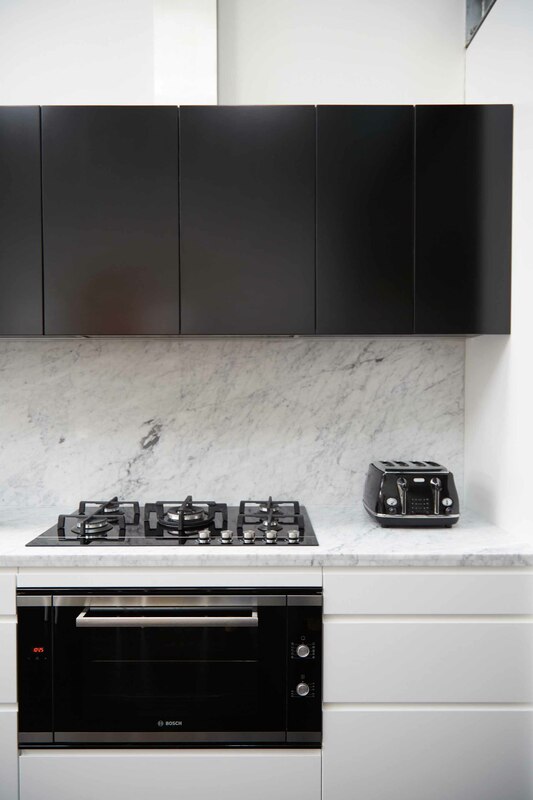 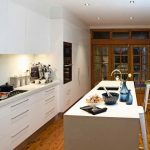 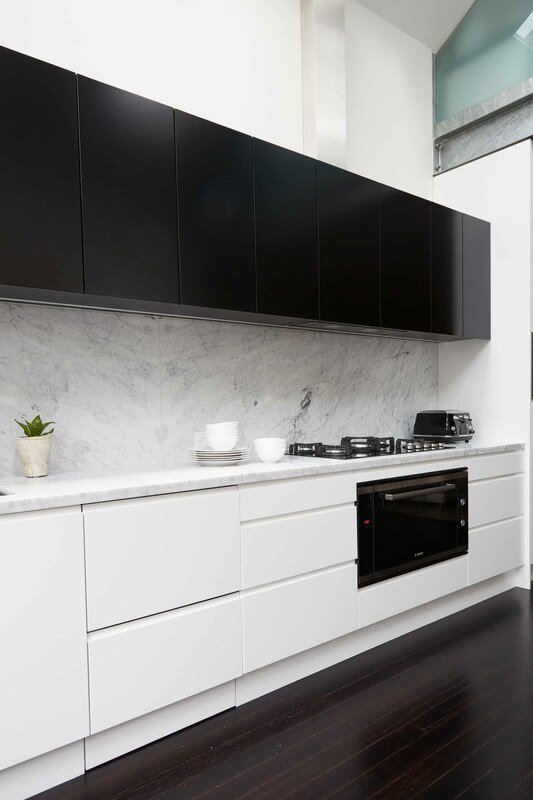 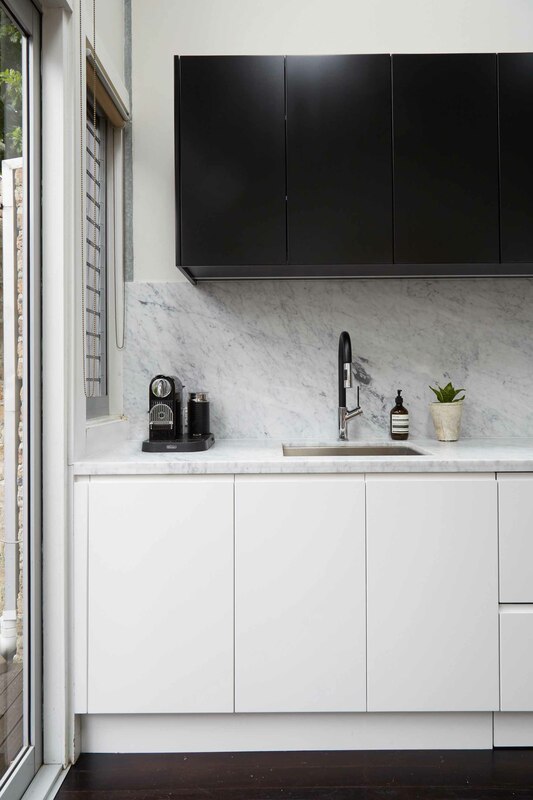 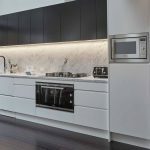 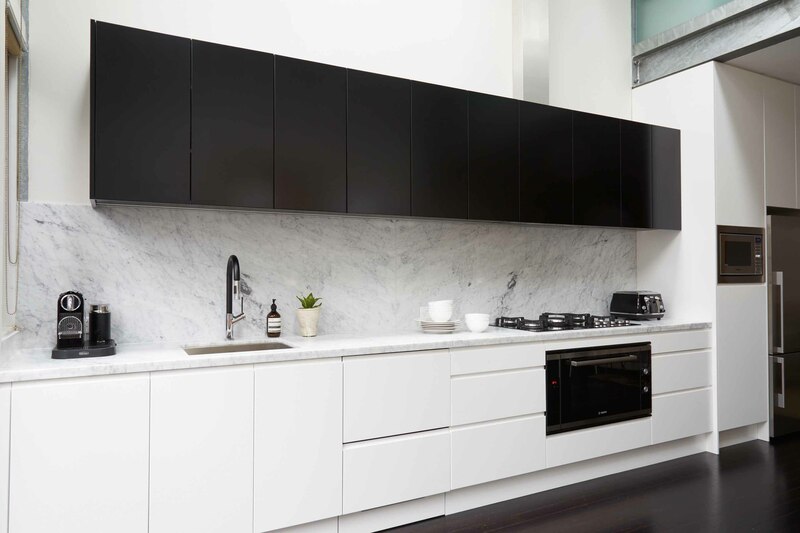 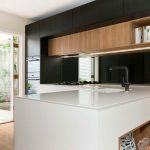 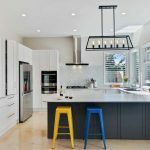 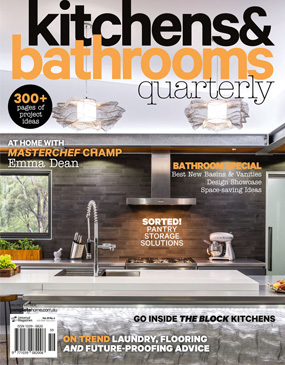 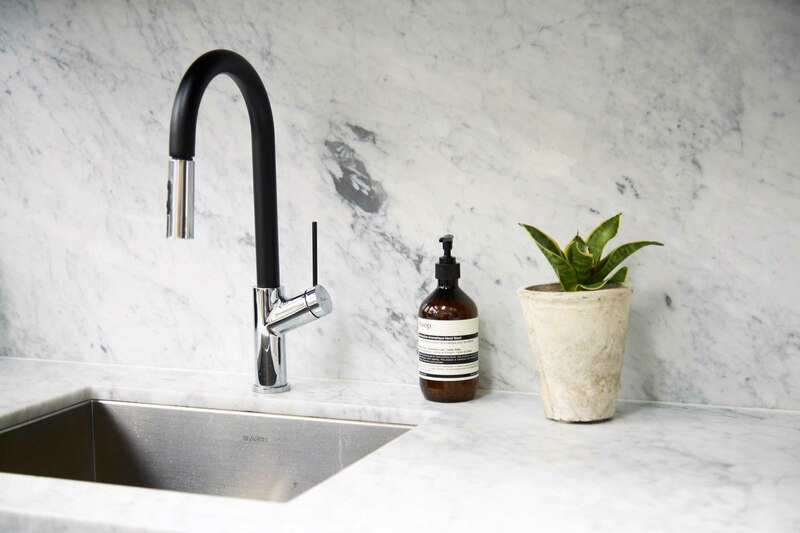 The contrast of the white walls and cabinetry against the black floorboards and overhead cabinets highlights the airiness and striking nature of the space, while the fusion of the marble benchtop and splashback, along with the LED strip lights, gives this kitchen a luxurious feel.